As days are passing, encryption is becoming a need for every user sitting online. Many tech giants including Google, Apple and Yahoo! are adopting encryption to serve its users security and privacy at its best, but according to Electronic Frontier Foundation (EFF), the high-tech Web security should not be limited to the wealthiest technology firms. The non-profit foundation EFF has partnered with big and reputed companies including Mozilla, Cisco, and Akamai to offer free HTTPS/SSL certificates for those running servers on the internet at the beginning of 2015, in order to encourage people to encrypt users’ connections to their websites and when I heard about Let’s Encrypt trying to change TLS certificate landscape, I was really excited, and I wanted AfeesHost to be a part of this development. Until now, switching web server over to HTTPS from HTTP is something of a hassle and expense for website operators and notoriously hard to install and maintain it. But, after the launch of this new free certificate authority (CA), called Let’s Encrypt, it will be even more easy for people to run encrypted, secure HTTPS websites. 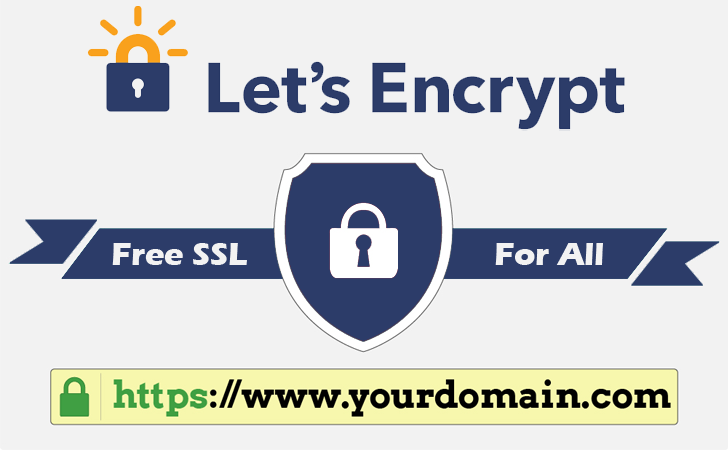 Let’s Encrypt aims to provide not just free, but also an easier way to obtain and use a digital cryptographic certificate (TLS) to secure website, and it’s necessary for every site operator as certificates provide a digital mechanism to let a browser trust a Web server’s encryption. It’s a joint effort of Mozilla, Cisco, Akamai, Electronic Frontier Foundation, IdenTrust and researchers from the University of Michigan. EFF Technology Projects Director Peter Eckersley said in a statement. We’re excited to support Let’s Encrypt and by extension support the increased security of the Internet at large. We hope you’re excited too — Start website hosting with AfeesHost today and get a free TLS certificate. Benefits of Owning Your Own Domain Afeeshost Get SiteLock and secure your website from hackers, viruses and malware.